Brenda Ray Ramsey, 77, of Martinsville, VA passed away Sunday, January 20, 2019. She was born September 13, 1941 in Stanleytown, VA to the late Robert Russell Hughes and Lenace Joyce Hughes. In addition to her parents, she was preceded in death by her husband, Hurbert Lee Ramsey. Mrs. Ramsey was a member of Chatmoss Baptist Church. She retired from Tultex and later became a licensed CNA. She enjoyed volunteering with hospice. 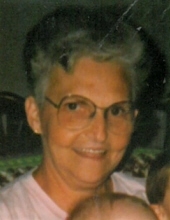 She is survived by her daughter, Cheryl Jacques and husband Richard; sister, Linda Lynskey and husband, James; brother, James Hughes; and grandchildren, Kyle and Kevin Jacques all of Martinsville, VA.
A funeral service will be held at 2 p.m. on Friday, January 25, 2019 at Norris Funeral Services, Martinsville Chapel with Rev. Rodney Houston officiating. Visitation will be one hour prior to the service from 1 p.m. to 2 p.m. Burial will follow at Henry Memorial Park. Norris Funeral Services, Inc. and Crematory of Martinsville, VA is serving the Ramsey family. To send flowers or a remembrance gift to the family of Brenda Ray Ramsey, please visit our Tribute Store. "Email Address" would like to share the life celebration of Brenda Ray Ramsey. Click on the "link" to go to share a favorite memory or leave a condolence message for the family.